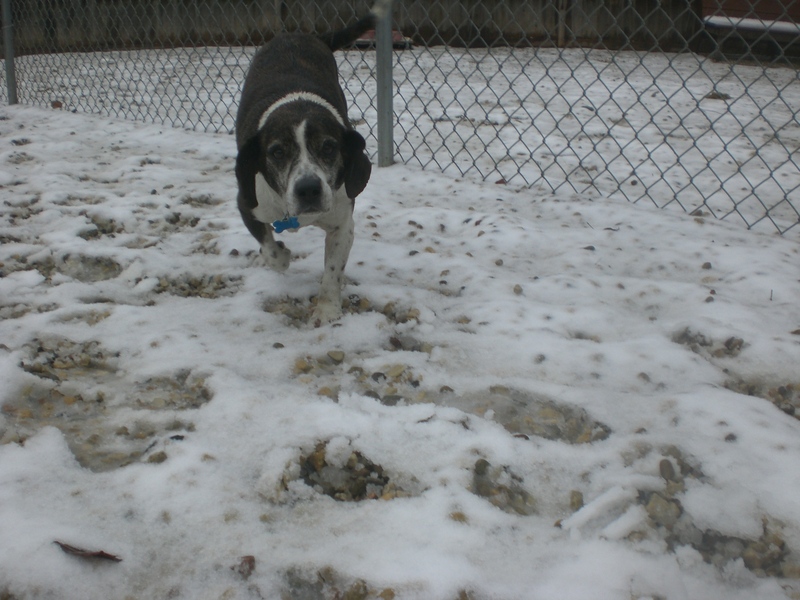 It was a snowy/rainy/icy sort of day (which explains the blurriness of the photos this week), but the dogs at Orphans of the Storm® were still happy to get a chance to stretch their legs and cuddle for a bit before warming up and drying off back inside their kennels. I unintentionally ended up walking all older Beagle mixes this week, and true to their Beagle nature, they were all so friendly! Phoebe the nine-year-old Beagle mix is a pretty mellow girl. When I stopped by her kennel to let her out, she politely sniffed my hand and then stretched before trotting out the door. She is super easy to walk on a leash and didn’t try to stray very far. As we waited for one of the off-leash runs to open up, she snuggled up next to me and rested her head on my knee. Phoebe put her Beagle nose to use once we got inside the run and had a good time exploring underneath the bushes (or maybe she was just trying to stay dry). After a few minutes, she came back over to me for some more snuggling. She even offered a couple of sweet doggy kisses. 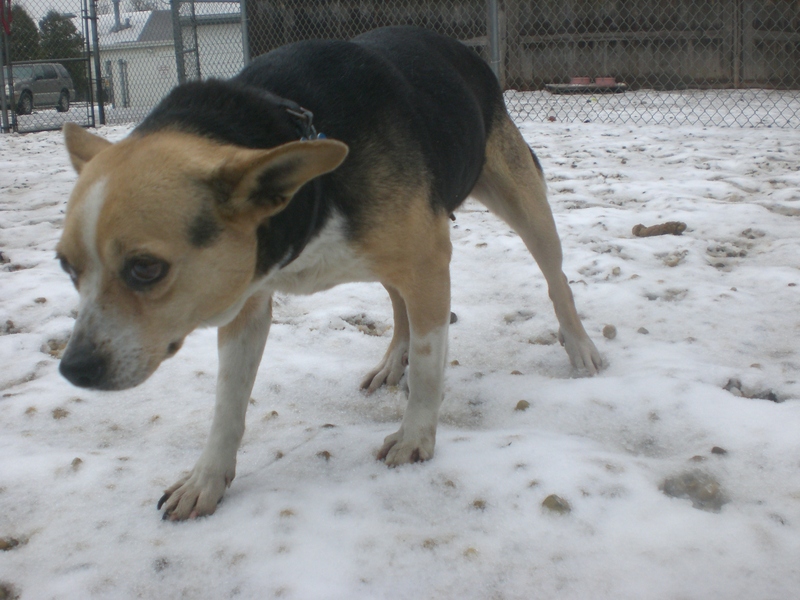 Phoebe has adorable pointy ears (unlike the usual Beagle floppiness) that go up or down depending on the situation. Stop by the shelter soon and see if this sweet senior is the right match for you! 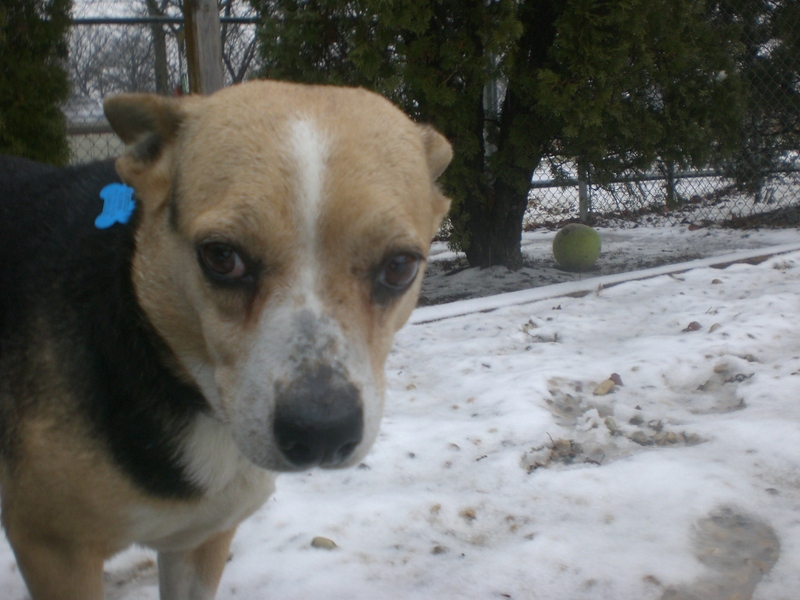 Utah the seven-year-old Beagle mix is a fun dog to be with. He was off and romping as soon as he got on the leash and happily led the way to the off-leash run. His tail wags pretty much constantly and he just loves being the center of attention. If there is a person nearby, Utah will do his best to get a pat or two and isn’t shy about jumping into an open lap. 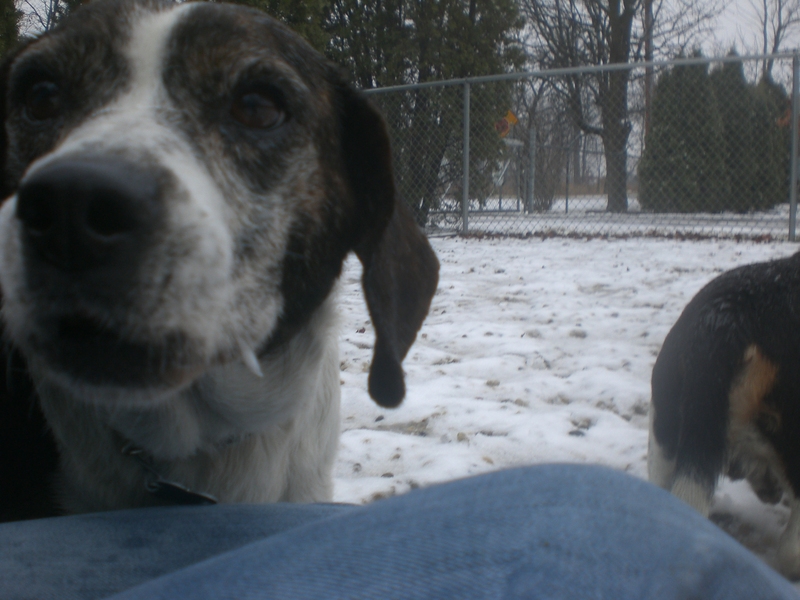 Utah is currently sharing his kennel with Chubs (see below), so he could go to a home with or without another dog. You can even consider adopting Utah and Chubs together! Utah is definitely the more active of the two and had a great time trying to get the dog on the other side of the fence to race him. Utah’s happy-go-lucky personality will make you a happy person too, if you’re the lucky one to adopt him! Chubs the ten-year-old Beagle mix is just adorable. 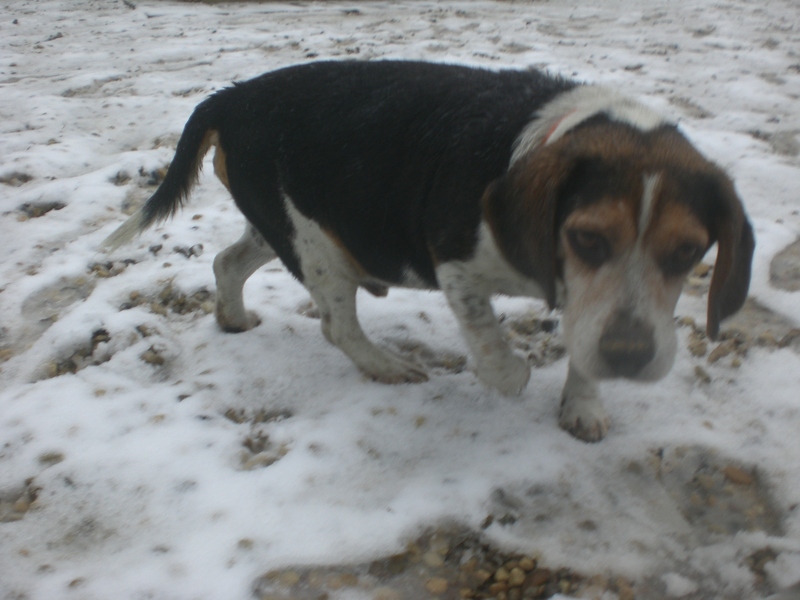 He has a round tummy (so his name is very appropriate) and that sweet Beagle face that will make anyone say, “Aww!” He needed a little more convincing to go out in the cold, but didn’t seem to mind once he was moving. He’s generally a pretty slow mover, so he’s easy on a leash as long as you don’t mind a casual stroll vs. a brisk walk. Chubs isn’t quite as demanding as his kennelmate Utah (see above) when it comes to getting attention, but he certainly still wants to be snuggled. While Utah was off racing, Chubs came over to me and enjoyed a good scratch behind the ears and under the chin. One look at that face, and you’ll be ready to scoop him up and bring him home with you! Come into the shelter soon to meet gentle, lovable Chubs. I also saw Lady, Lucky, Shasta, and Tom-Tom–a great group of senior dogs who are more than ready to settle down in a new home. 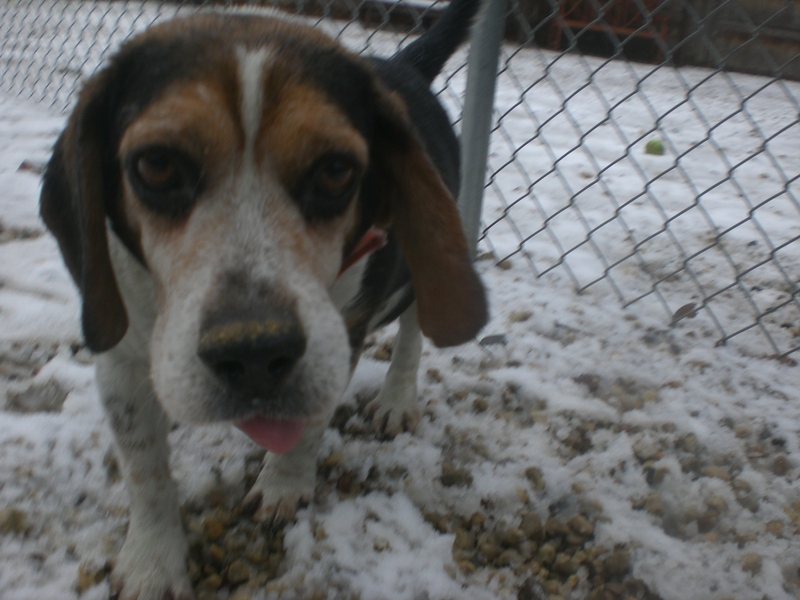 Posted by Meet the Pooches on January 8, 2015 in Dog Profiles and tagged adopt, animal shelter, animals, Beagle, Chicago, dogs, Orphans of the Storm, pets. Thanks so much for giving us an update on Phoebe, Colleen! We love to hear how the adopted dogs are doing in their “furever” homes. If you’d like to share more of your and Phoebe’s story (and some cute pictures, which I’m sure you have! ), I’d be happy to feature you two on our “Success Stories” page. Please let me know if you’re interested!